Srinagar, Feb 6: Rain and fresh snowfall started in Jammu and Kashmir on Wednesday as the Met forecast inclement weather during the next 48 hours till Friday. 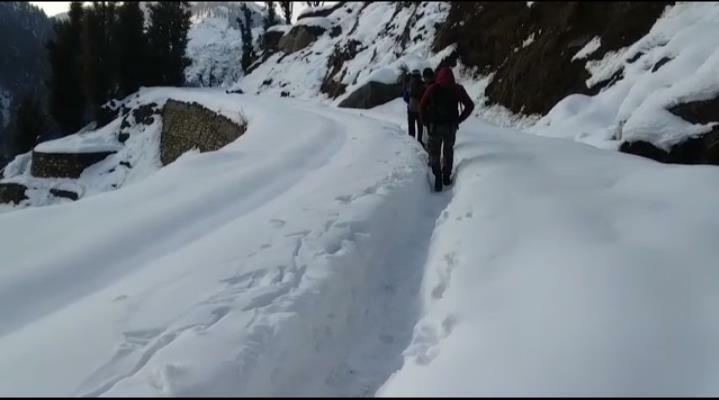 "While the plains of the Jammu division will receive rain, higher reaches both in Jammu and valley region will receive moderate to heavy snowfall," a Met official said. There have been nightlong rains in the Jammu division while fresh snowfall occurred in the Kashmir mountains, including on the Pir Panjal range, the official added. Srinagar recorded 1 degree Celsius while Pahalgam and Gulmarg recorded minus 0.6 and minus 4.6 respectively. In the Ladakh region, Leh recorded minus 4.3, Kargil minus 16 and Drass minus 6.3 degrees Celsius. Jammu city was at 11.6, Katra 10.8, Batote 1.4, Bannihal 1 and Bhaderwah was at 2 degrees Celsius.